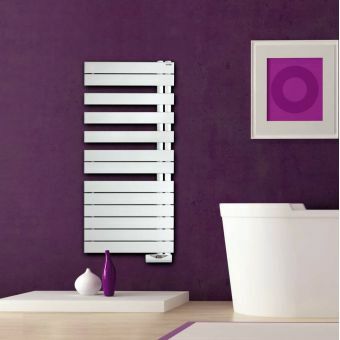 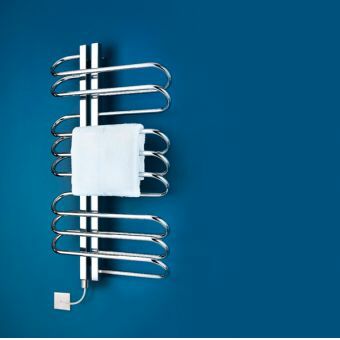 A neat little radiator, the Phoenix Flavia L800 is a stylish bathroom fitting that can complement modern and vintage bathroom schemes with ease. 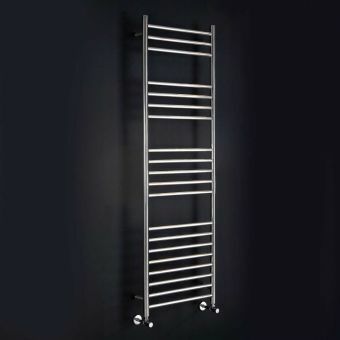 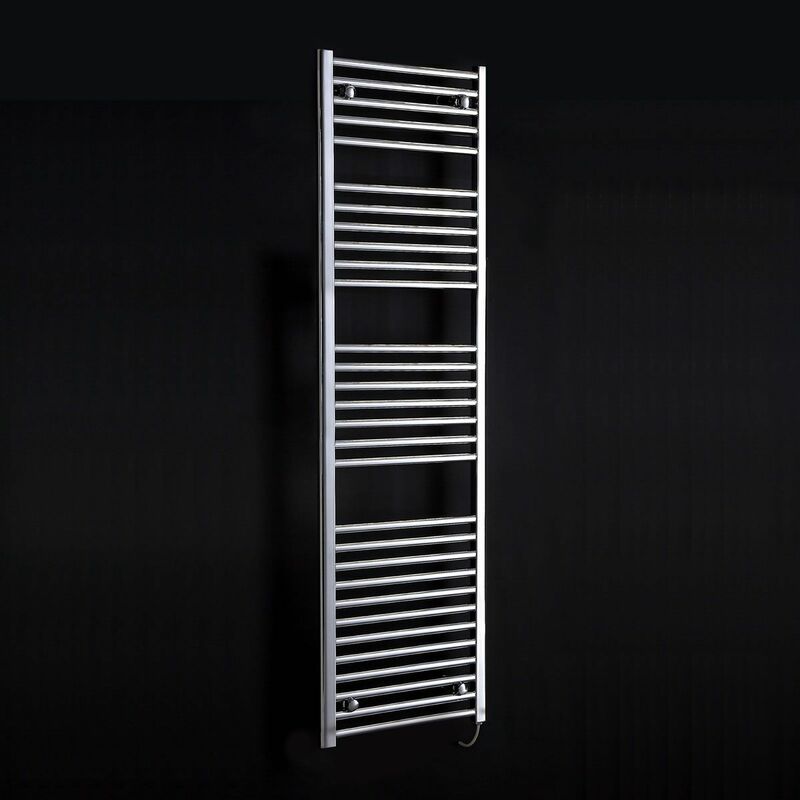 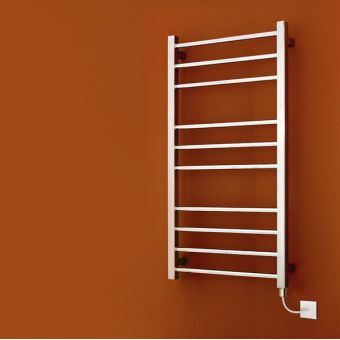 With multiple slots (4 x 3 rails) to store and dry towels, this efficient and stylish electric radiator is compact enough to fit into smaller bathrooms and en-suites. 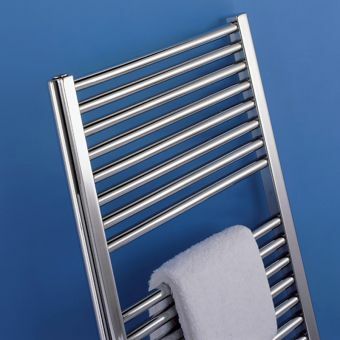 Finished in either stunning white or the sleek and timeless look of chrome, it is a distinctly stylish piece that is far more attractive than most standard radiators. 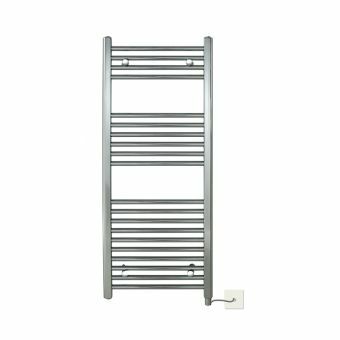 Its fitted electric element allows it to be operate in isolation, meaning you have access to warm towels without engaging the whole central heating system. 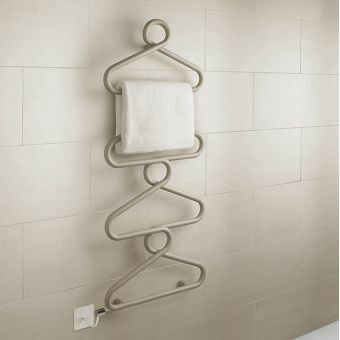 Please select colour and size when ordering. 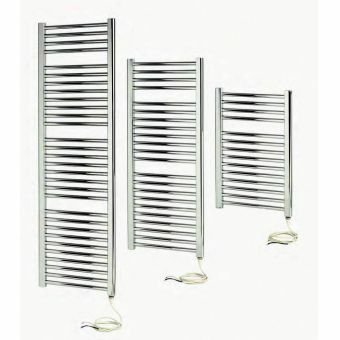 Widths available include 300, 400, 500 and 600mm.